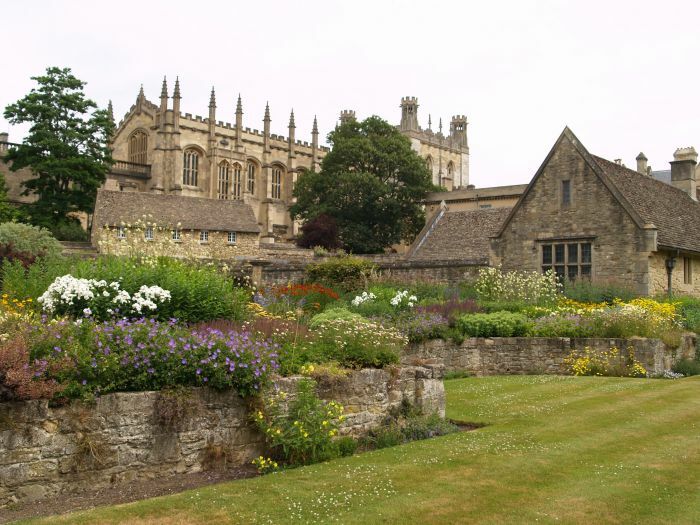 The Memorial Garden by the start of Broad Walk, with Christ Church in the background. 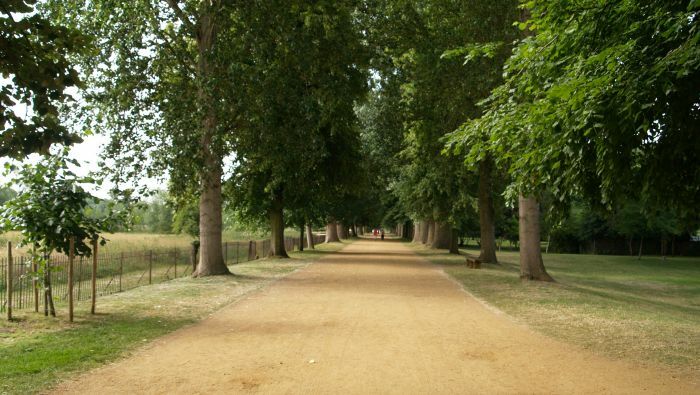 Heading down New Walk towards the River Thames. 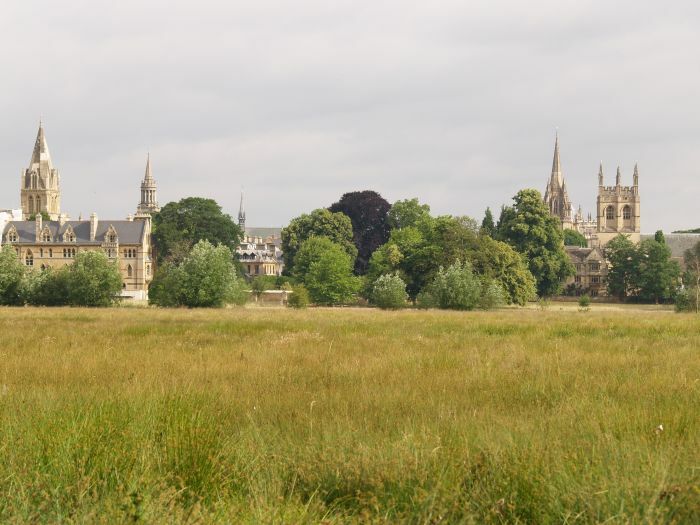 Christ Church meadow is on the left. 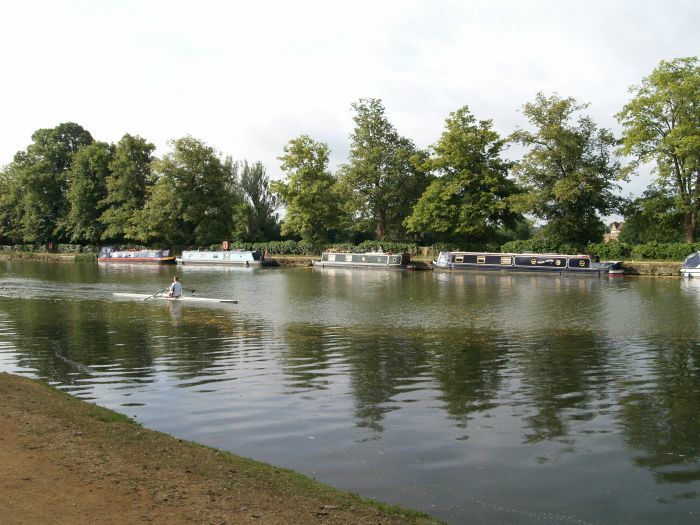 Barges and a rower on the River Thames. 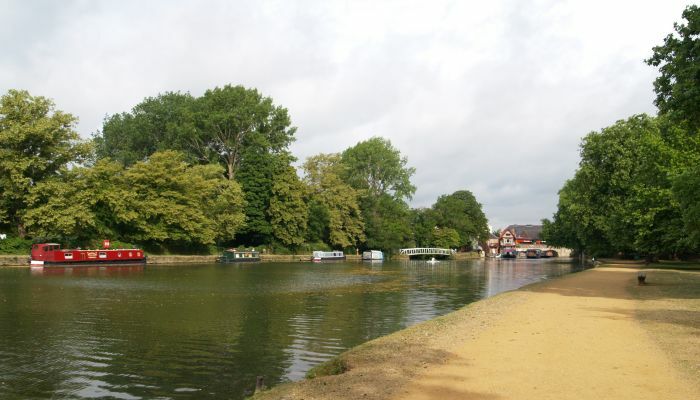 Looking towards Folly Bridge by the River Thames. 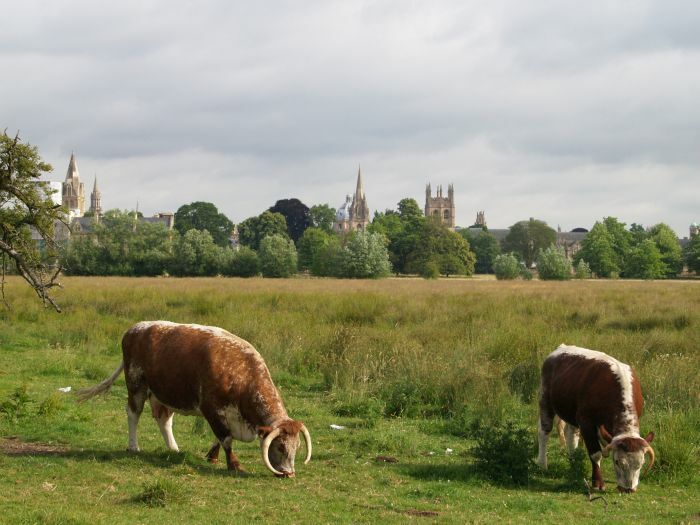 The famous view across Christ Church meadow where cattle still graze before the dreaming academic spires and towers of the Oxford colleges. 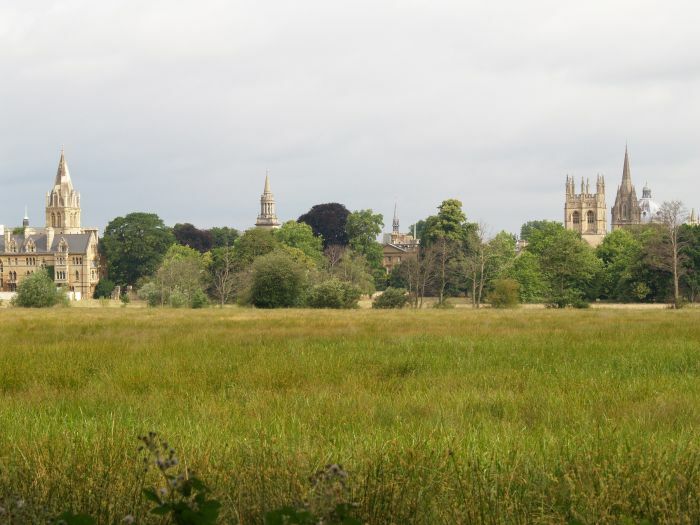 On the left the towers of Christ Church College and Cathedral and All Saints, just right of centre is the tower of the chapel of Magdalen College and in the centre the spire-tower of ? and beyond it the Radcliffe Camera. A closer view of the 'dreaming spires' described above. 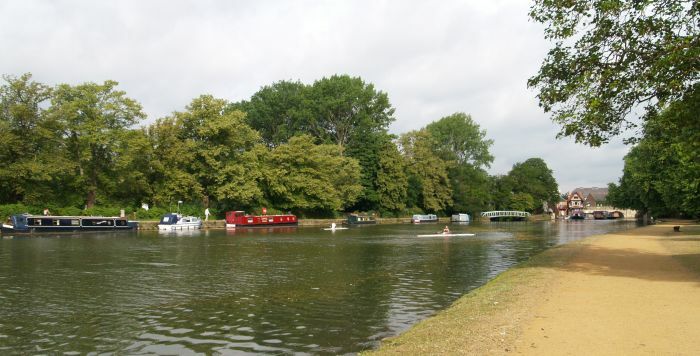 Turning away from the River Thames you go along by the River Cherwell towards Merton Field. 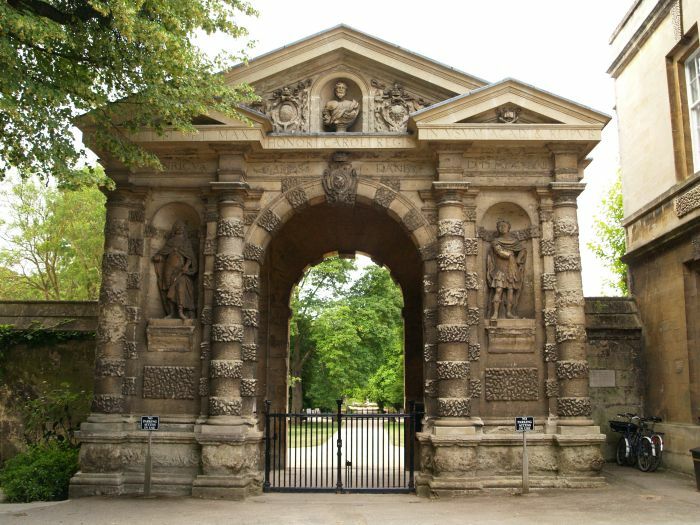 The gateway into the Botanic Garden which was begun in 1621 as the Physick Garden for the Faculty of Medicine. 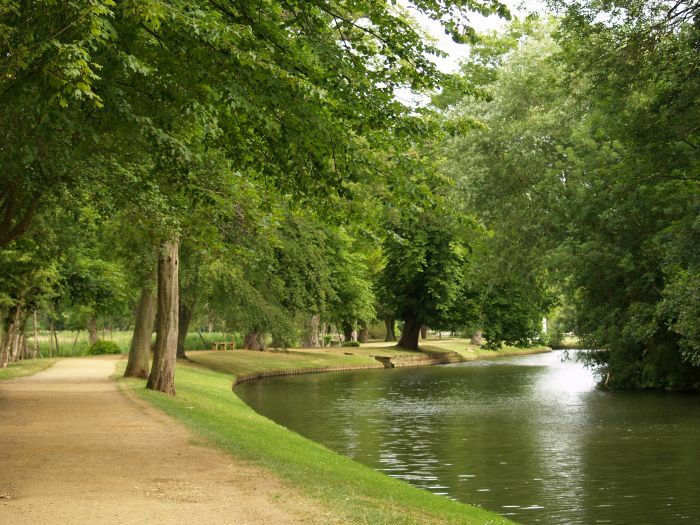 The Oxford University Botanic Gardens were established through a donation of £2000 by Sir Henry Danvers, First Earl of Danby in North Yorkshire. 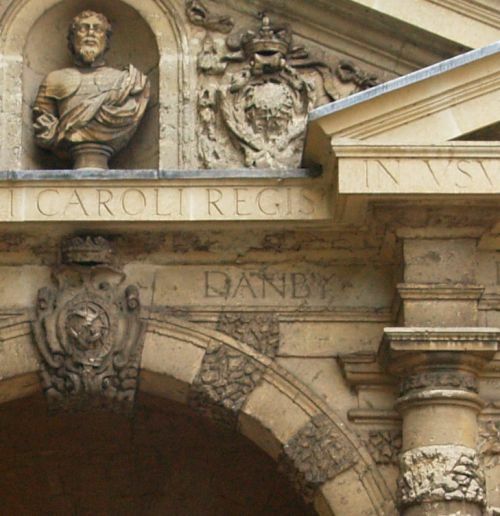 The impressive gateway is known as the 'Danby Arch' - on the top right DANBY is carved into upper tier of stonework. 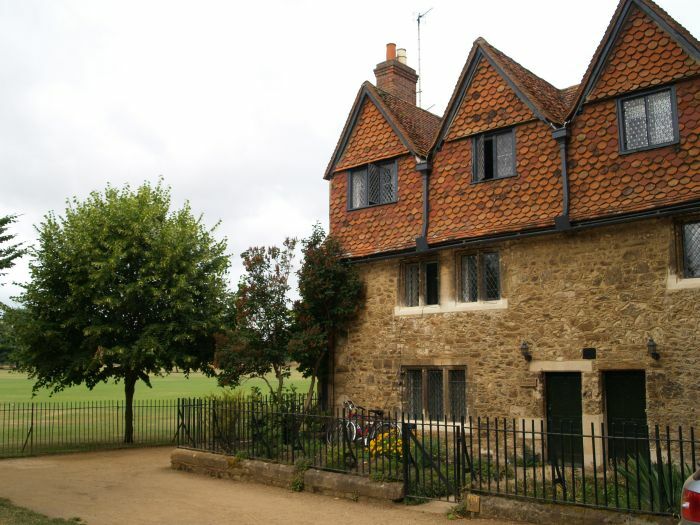 Meadow Cottage by Merton Field and Rose Lane. 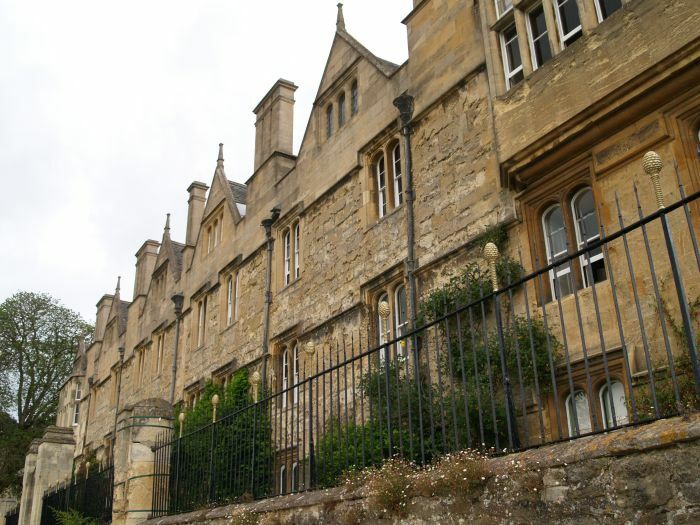 The side of Merton College facing Christ Church Meadow on Dead Man's Walk.